The history of the Franciscan Friars (OFM) in the USA can be divided into two epochs – the period of mission activity during the European colonial period and then friars coming in the 19th and 20th centuries to minister to immigrants. The Franciscan Order was divided into two independent congregations in 1517: the Friars Minor of the Observance and the Friars Minor Conventual. Within the former, besides the Regular Observants, there were a number of movements of stricter observance that emerged during the 1500s (Discalced, Reformed, and Recollect Franciscans) which enjoyed a considerable amount of autonomy. Franciscans arrived in 1573, establishing a chair of missions among the indigenous peoples, moving up the coast into what is now Georgia. Five of the early friars in Georgia were killed in 1597. By 1650, 70 friars were working in 40 missions, with about 25,000 Christian natives. The missions suffered attacks from the British starting in 1702, forcing the Spanish to retreat to the area around St. Augustine. The last Franciscans fled Florida with the English take-over in 1763. Friars of the Holy Gospel province of Mexico accompanied the Spanish colonial expedition of 1598. By 1640 there were 50 friars in more than 25 missions. The Pueblo revolt of 1680 drove the Spanish out, but they returned in 1692 with a greater sense of the need for inculturation. Franciscans from the missionary colleges of Zacatecas and Queretaro arrive in the early 1700s. San Antonio was founded in 1716. By 1787, there were 28 mission stations, most of them small. Franciscans took over the Jesuit missions in the Pimeria Alta (such as San Xavier del Bac) in 1768 after the Society was expelled from Spanish territory. Junipero Serra and his companions arrive in San Diego in 1769. A chain of 21 missions was eventually established by the 1820s with about 21,000 Christian Indians. Franciscans of the Recollect Reform arrived in Canada in 1615, eventually establishing three friaries – Québec, Trois-Rivières, and Montréal – as bases for pastoral work and mission actives among the indigenous people throughout the Great Lakes region. There were about 70 friars in New France when the English conquered it in 1763 and vocations were restricted. The last friar died in 1849. Several friars from the English province (Recollect) ministered in Maryland between 1673 and 1720. By the early 1800’s, the early activity of Franciscans in what is now the US, primarily mission work among the indigenous peoples, was coming to an end. With Mexican independence, Spanish missionary friars were expelled from New Mexico, Texas, Arizona and California. By the 1830s, pressures on the Order in Mexico led to the secularization of the missions and the gradual withdrawal of Mexican friars. The last friar in Texas died in 1834, the last in Arizona left in 1837, and the last in New Mexico died in 1848. In California, although the other missions were secularized, a small remnant of friars were able to carry on at Mission Santa Barbara. But this same period saw a new epoch in Franciscan history begin in the United States as friars from Europe came to minister to Catholic immigrants . The present-day Franciscan provinces in the US trace their origins to friars who came to minister to the tidal wave of Catholic immigrants who arrived in the country between 1840 and 1920. These friars belonged to two of the families of stricter observance: Reformed and Recollect Franciscans. These two observances, as well as the Discalced Franciscans, were merged with the friars of the Regular Observance by the Leonine Union of 1897 to form the modern Order of Friars Minor. Friars from the Reformed province of Tyrol, Austria, came to Cincinnati in 1844 to minister to German-speaking immigrants; they soon spread to other German communities in the region. Tensions with the mother province led the friars in the US to form an independent custody in 1858; raised to the rank of a province in 1885. Friars were asked to serve in the newly-established diocese of Buffalo, N.Y.; in 1855, volunteers from several Italian Reformed Franciscan provinces arrived, establishing St. Bonaventure College (later University) in 1858. An independent custody was formed in 1861. Their first parish for Italian immigrants was founded in New York in 1866. Became a province in 1910. Founded in 1858 as a mission to German immigrants in Illinois by the Recollect Province of Saxony. When religious were expelled from Prussia in 1875 during the Kulturkampf, the huge influx of friars from Germany enabled the friars to expand their ministries. Most of these refugees chose to remain in the US, enabling them to form the first independent US province in 1879. Franciscans from the Recollect Province of Thuringia also fled to the US during the Kulturkampf, settling in Paterson, N.J., in 1876. The Leonine Union of 1897 made it possible to form a new independent province on the East Coast in 1901 by merging this US foundation of the (Recollect) Thuringia province and the English-language friars and houses of the (Reformed) Immaculate Conception Custody [above]. The struggling Franciscan community remaining at Mission Santa Barbara following the secularization of the California missions was incorporated into the new Sacred Heart Province [above], which rebuilt the Franciscan presence in the West, serving German-speaking parishes and native American peoples. A Western commissariat was organized in 1896, which became an independent province in 1915. Br. Augustine Zeytz, a refugee from German-occupied Poland during the Kulturkampf, was impressed by the needs of the Polish immigrant community, and in 1887 recruited Reformed friars from Poland to minister in Wisconsin. As more volunteers arrived and native vocations came in, an independent custody was formed in 1910, becoming a province in 1939. Friars of John the Baptist province [above] came to New Mexico at the invitation of St. Katherine Drexel in 1898 to work among the Navajo people, soon resuming Franciscan presence among the Pueblo peoples as well. As ministries diversified further, the friars in the Southwest formed an independent province in 1985. In addition to these seven provinces, a number of other Franciscan entities were formed in the US in the 20th century to minister to European immigrants. For example, in 1926 Franciscans from Slovakia came to work among Slovak immigrants. Eventually, this led to the establishment of an independent Vice Province of the Most Holy Savior. These friars became part of St. John the Baptist Province in 2000. The Croatian Custody of Holy Family (Chicago, Ill.) belongs to the Province of Mostar (Bosnia-Herzogovina). The Commissariat of the Holy Land (Washington, D.C.) belongs to the Custody of the Holy Land (Jerusalem, Israel). The Commissariat of Holy Cross (Lemont, Ill.) belongs to the Slovene Province. The US Foundation of the Province of Lithuania is located in Kennebunkport. Maine. The Mexican Provincia de los Santos Pedro y Pablo de Michoacán staffs a seminary (St. Anthony’s Seminary) and two parishes in El Paso, Texas: St. Francis of Assisi and Our Lady of Guadalupe. The Mexican Provincia de los Santos Francisco y Santiago (Zapopan, Jalisco) has two parishes in Texas: St. Laurence Parish in Amarillo; and Our Lady of Guadalupe Parish in Hebbronville, near Laredo. A map of the Franciscan churches, shrines, missions, chapels, retreat houses, ministry sites, and educational institutions in the US can be found on this page. Since its founding in 1943, the Academy has published over 40 volumes dealing with the history of the Franciscans in the Americas. Its publications include numerous monographs on topics of American Franciscan history as well as definitive editions of the writings of American Franciscan missionaries, such as Junípero Serra, Fermín Francisco de Lasuén, Francisco Palóu, Toribio de Motolinía, and others. The Academy’s quarterly journal, The Americas, has been one of the leading journals of Latin American History since its inception in 1944. It publishes articles and reviews books on the history of all geographical regions of the Americas throughout their rich history. The editorial offices are located in the Department of History at Drexel University in Philadelphia. Since 1989 the Academy has been part of the Franciscan School of Theology, now in Oceanside, Calif. 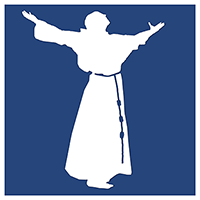 The Academy of American Franciscan History has prepared a video introducing St. Juníper Serra. It is about 25 minutes long and does a good job of placing the person of Junipero Serra in context.